Life, I have come to realize, is unpredictable, and unrelenting. Like a mountain stream, we do not control the flow of our lives; instead, we are immersed in it, amongst it, shaped by it. There will be riffles, pools, and tailouts; waterfalls and canyons. But always flowing, always moving, towards some end that can not be determined; for it is the unknown. Well, my schedule really only left me one option; so I’ve been battling the crowds every Saturday like a true weekend warrior ever since. The problem is, when you only have one day a week to fish, the conditions don’t always line up perfectly. That one day of the week typically isn’t the one day where the conditions are on fire. The other problem is, when you only have one day a week to fish, and you don’t catch any fish, you get filled with an all consuming dread for the upcoming work week. It’s like a part of your soul is missing; you forget what its like to have a fish on. You start to feel sorry for yourself- harbouring secret thoughts of quitting and leaving it all behind- until you snap out of it and back to reality. Alas, I feel as though my struggle is relatable to most people in the fishing world. At the beginning of the season, we nourish such great hopes of everywhere we want to fish, of all the great adventures that shall pass, and all the fish we will catch. Yet somehow, you will wake up and realize that the leaves are yellow, and time is running out, and many of the things that were on the list will have to wait until next year. If your lucky. But despite this, you always have a bank of memories from the season that was that remind you that not all is lost. I caught so many beautiful trout this year that it would be a sin to complain. And the long weeks that sometimes passed between them only made them that much sweeter. And learning to find that balance between the sublime and the less desirable aspects of life is what makes life what it is. A turbulent ride into the unknown. With that being said, this is easily my favourite time of the year to fish. Even on a saturday, you will find you have the river to yourself (as I did this Saturday, not too far from Calgary). The fish are beautiful and coloured up and trying to get fat for the winter. The trees and the mosaic of colours is amazing. And the fishing is generally good and straightforward. 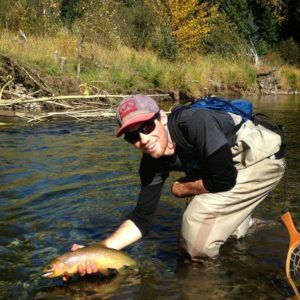 The fishing this time of year in southern Alberta will be best in the mid afternoon heat until the early evening, and follow the sun. Dry fly fishing will be more sporadic; but there are still some caddisflies and mayflies kicking around. 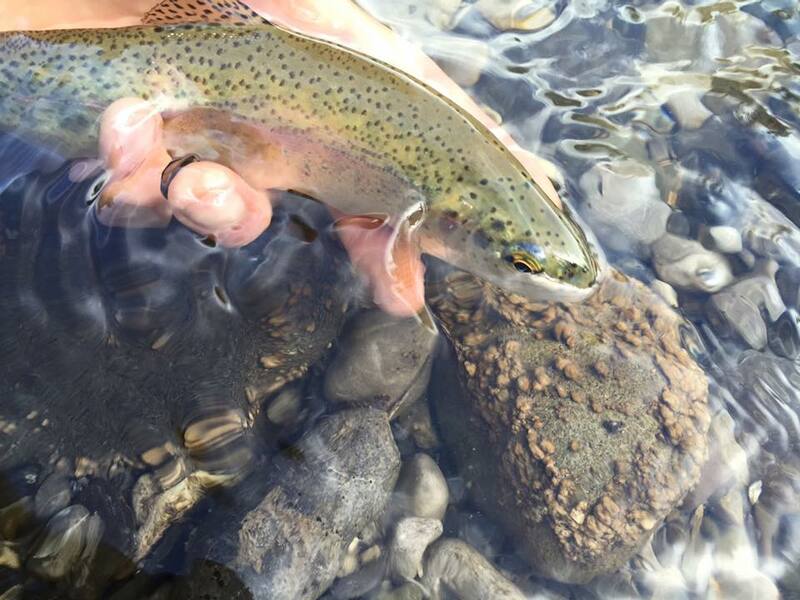 In the sunny areas, it never hurts to throw on a small dry fly and see what happens. There can also be hatches of October Caddis; a gargantuan bug best fished with a large orange stimulator. This time of year though, sight nymphing is an absolute blast and will give you the best chance of catching fish. Small copper johns, pheasant tails, or hares ear nymphs fished slow and deep should bring you action in most pools. Fish them under a small indicator, or naked, and keep your eyes peeled for a flash in the pool or the straightening or your line. 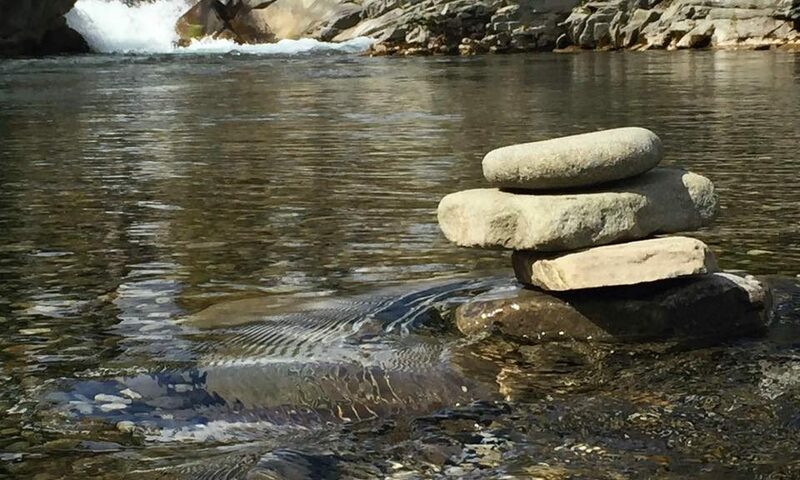 This is one of my favourite ways to fish and is really great for improving your feel with a nymph! 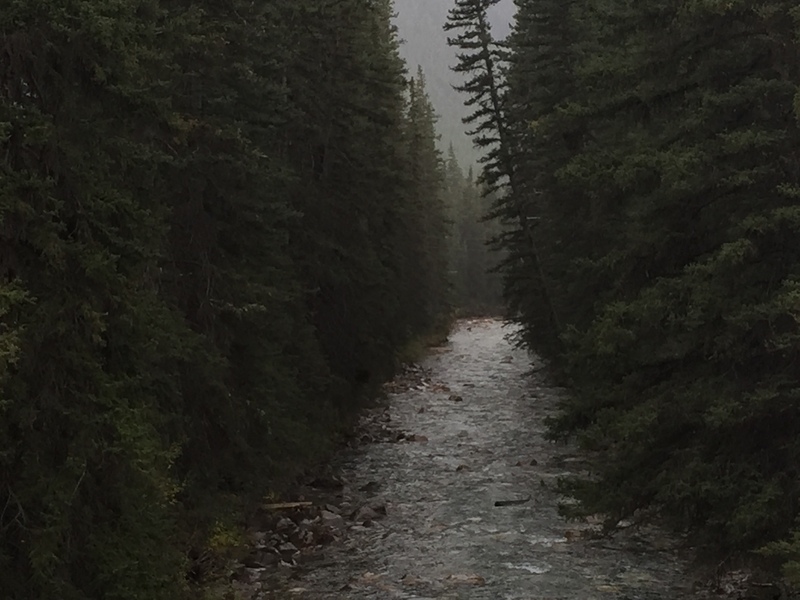 If you plan on fishing the Bow river, everything above also applies. Small nymphs will give you an excellent chance of catching big, hard fighting fish. Streamer fishing has also been good, the classic bow river bugger being my go to fly. On warmer days over 20 degrees, there should be some hoppers out. A hopper-dropper rig with a copper john 12-18″ below is a great setup. And don’t forget about the San Juan worm. It produces very well this time of year. 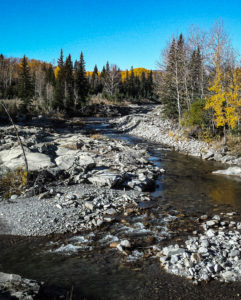 The Browns to the north of Calgary and in the Bow River will begin spawning in a couple weeks here. Come October, these streams should be left alone. As for now, they are fishing well, and Browns are big and healthy. Cloudy days should give you the best chance at finding rising fish, and almost assuredly they will be eating small BWO’s. If you see a fish that appears to be spawning, leave it alone; it will be aggressive and one streamer will probably induce a strike, but these fish are under a lot of stress and need to be left alone. So if your having dreams of one last big brown, go get him in the next couple weeks before its too late.